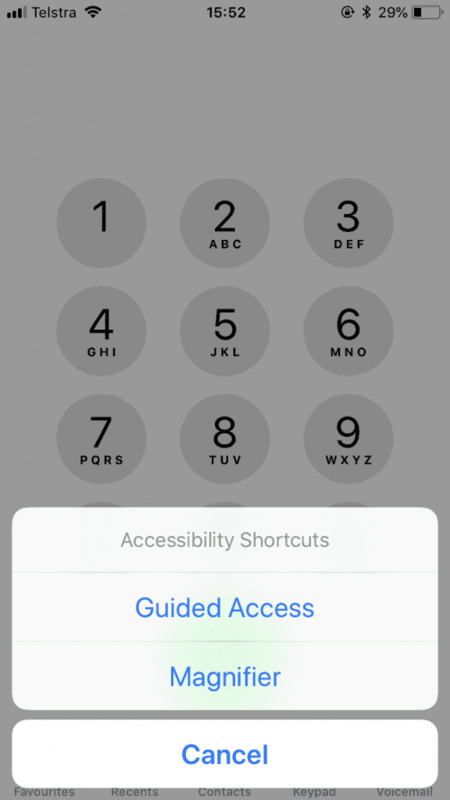 There is a built-in feature on Apple iPhones and iPads (iOS) called Guided-Access and has been available for some time although most people would not know of its existence. 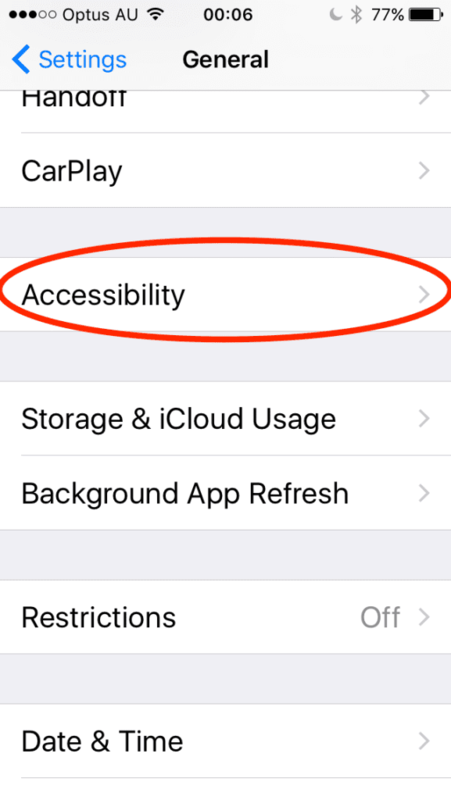 You can also use this setting to restrict access to a single Application (App) on an iPad or iPhone, such as a Game or in this case, the Phone App. 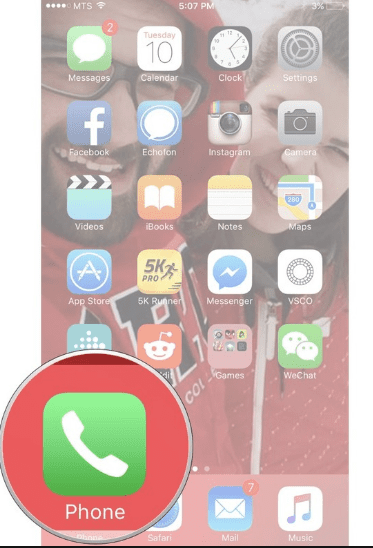 You could also use this feature to restrict an iPhone or iPad to a single game (app) or letting someone use your phone to make an emergency call or any situation where you want to “lock” access to only one game or application and not give the user free-reign over the devices apps and data. 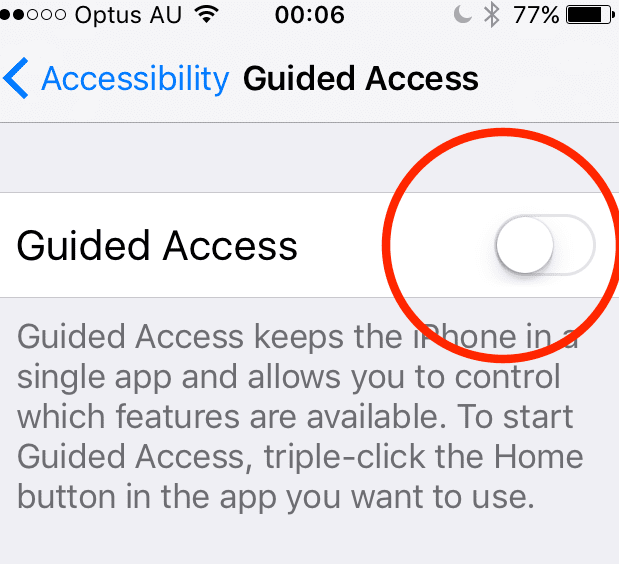 Once switched “On” “Guided Access” Options appear as follows, not that you switch it on by hitting the “home” button three times (triple-click) and you can set a pass code to enable and disable the feature. 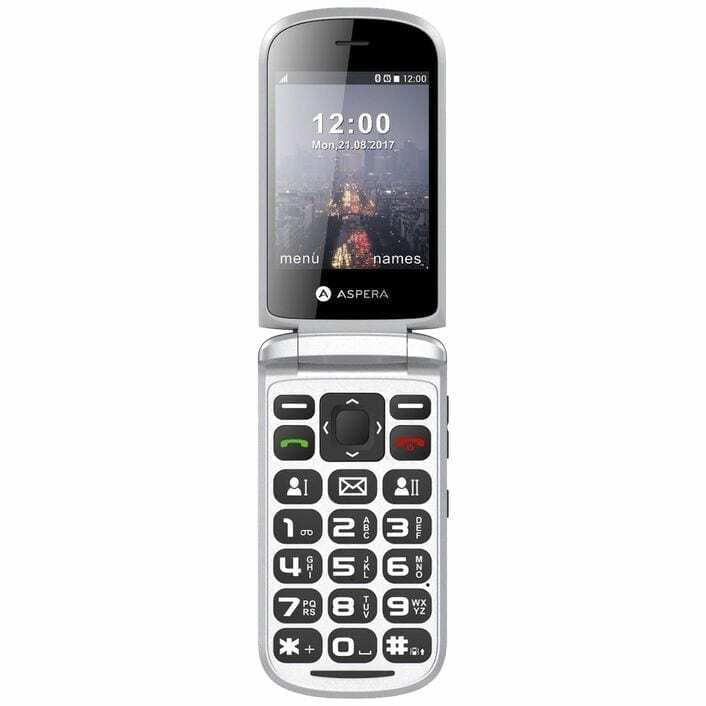 You can even set a time limit for the access and restrict certain parts of the screen being accessed. 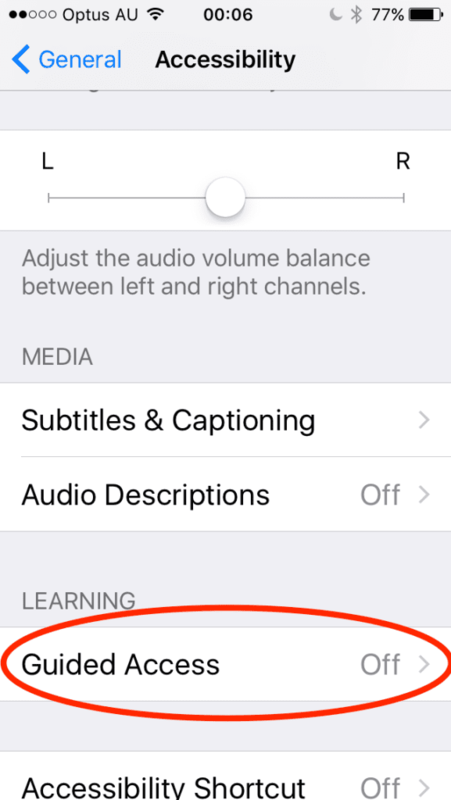 It is now all set to use…. 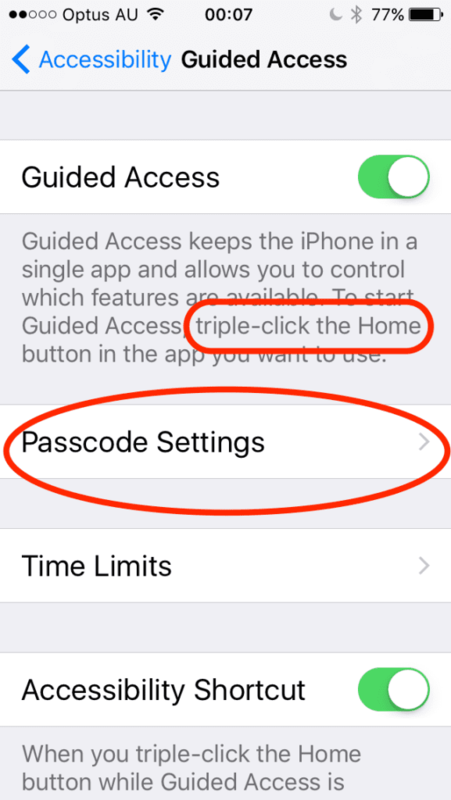 next time you triple-click the home button. 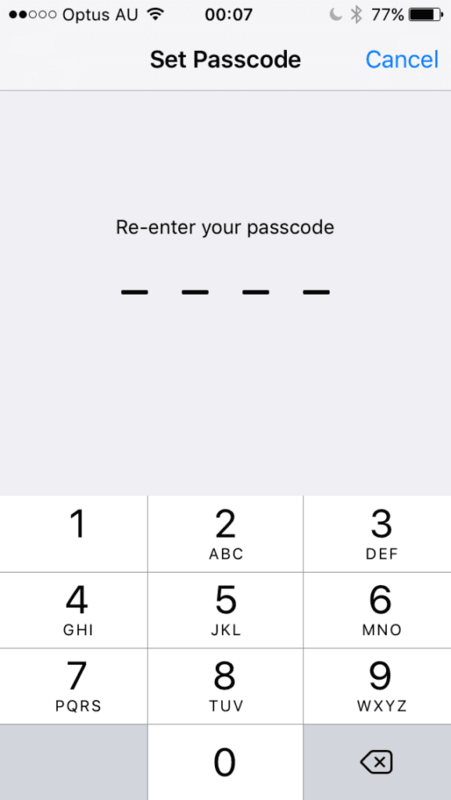 Now the phone is restricted to this one App and will remain so until you triple-click the home button, enter the passcode and click “End” in the top-left of the Guided Access Screen to return the device to normal operations. 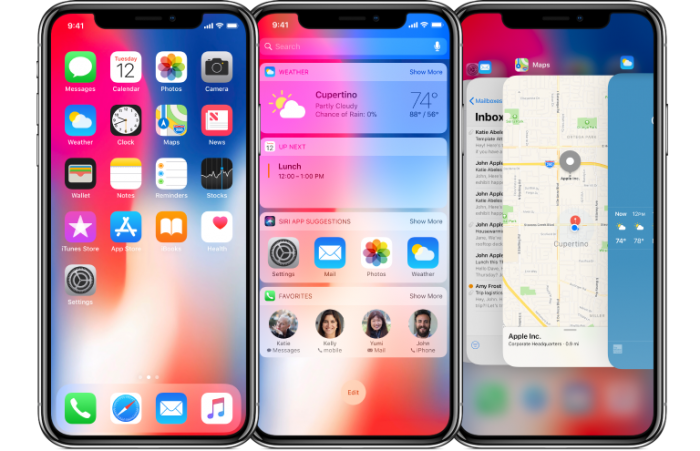 You can find more information on the feature on the Apple site.